Rock & Metal 4 You: CD-Review: Neonfly - "Strangers In Paradise"
Are you ready for some more feel-good Power Metal? 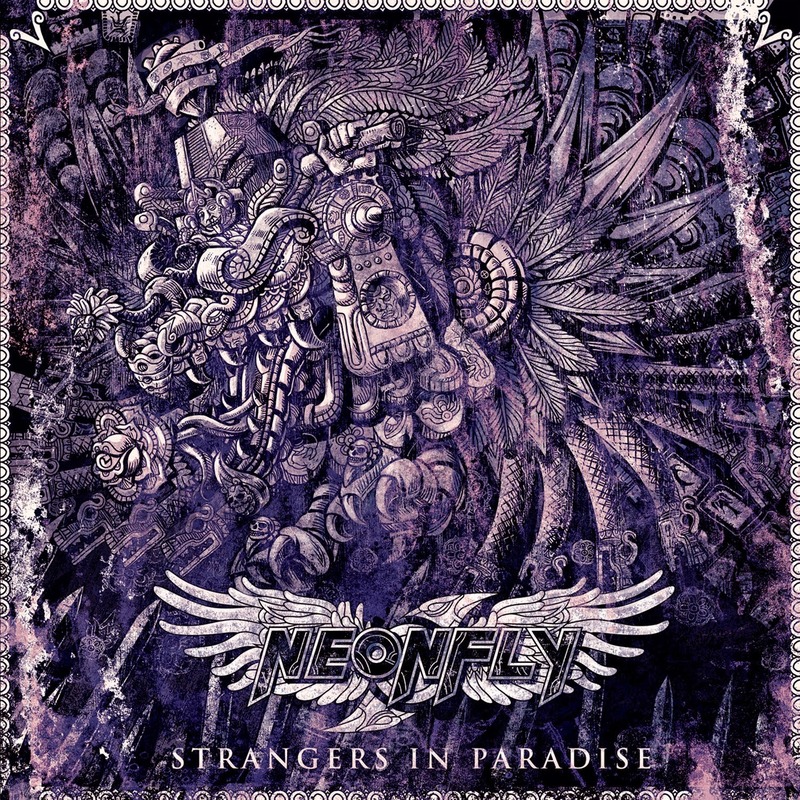 Then here it is: the UK-Rockers of Neonfly released their second album "Strangers In Paradise" yesterday and I must confess I didn't had this on my radar. I knew that the recordings for this album were already finished months ago, but the band had problems to find a record label. Now finally here it is. Was it worth the wait? Neonfly are on of those bands who work really hard on their success since many years (the first EP came out in 2008), but the overall Metal community still doesn't know this band. And this is a shame, especially because Neonfly toured the world already as a support act for various bands like Magnum, Freedom Call, H.E.A.T and Alice Cooper. I saw this band last year with Alice in Lichtenfels and I can tell you these guys really rock and took the hearts of the audience by storm. So why the well-deserved success is missing? Mh, music business is a hard and tricky thing and sometimes it just needs a bit of luck. Beeing at the right place at the right time, you know. The musical quality Neonfly present on their new album is very good and entertaining, so I see no reason why this band shouldn't become a major act in the Metal scene in the following years. But enough with the talking - what has "Strangers In Paradise" (maybe a sidekick to Europe's "Prisoners In Paradise"?) to offer? The answer is simple: Power Metal with tons of catchy melodies and some elements of Hard Rock here and there. The melodies are really infectious, just listen to the huge opener "Whispered Dreams" that will stuck in your head for weeks. The song stands for all the things to come: power, playfulness and varied songwriting. Whether songs with a heavier note like "Highways To Nowhere", Happy Metal tunes like "Sons Of Liberty", ballads like "Rose In Bloom" and "Falling Star" or a track like "Heart Of The Sun" that comes along with some progressive elements - all songs have something special and don't get boring during the whole playtime. Yes and the playtime is maybe the only thing that is a bit disappointing. There are just 9 songs and one instrumental track ("Aztec Gold") and after 41 minutes the whole thing is over. Personally I don't need such instrumental stuff. Here I would have liked to have one or two more "real" songs. Speaking about the band performance all members are skilled musicians, who just want to have fun playing together and you hear that immediately and finally Willy Norton has a really impressive, flexible vocal range. All this is crowned by a first-class production from Dennis Ward. The sound is clear, the guitars are razor-sharp and the soaring vocals have enough space to shine. You see, there isn't much to complain about. Neonfly made major improvements compared to their debut album and "Strangers In Paradise" should be a huge step forward for this band. 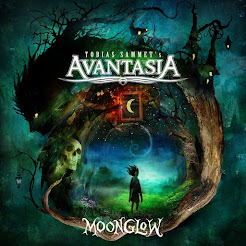 This album deserves it to be named as one of the best Melodic Metal records this year, so if you love this kind of music you can buy this one blindly. With such an album in the hindquarters a bright future lies ahead, so keep your eyes open and watch out for this talented band!